Finishing up another studio build out in an unrated market. There are some engineers who think that small market work is beneath them. That is fine with me, I enjoy it. Once again, creating a nice, functional, modern facility while not breaking the bank poses some challenges. I like to take sort of a minimalist simple approach while not compromising good engineering practice. Another challenge is rebuilding an existing facility. 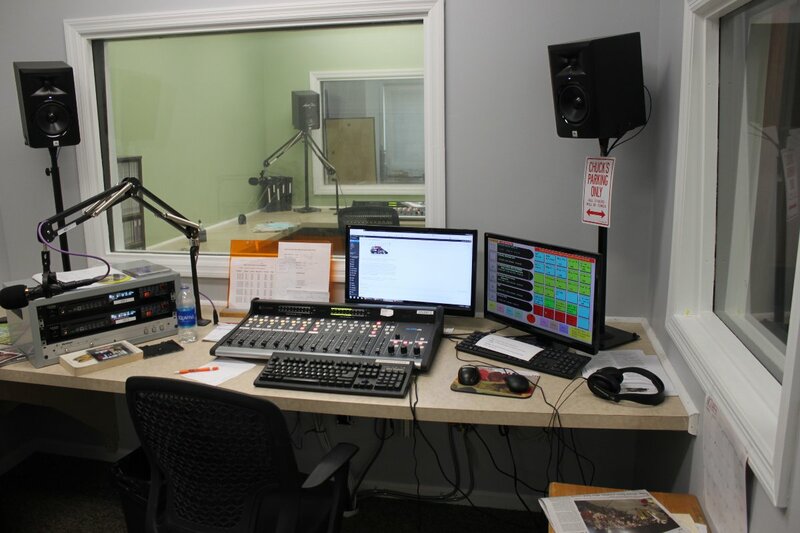 Each studio needed to be demoed one at a time with the stations playing hop scotch from studio to studio around the work. There were four studios total plus the rack room. There were also several other renovations going on at the same time as this project. Looking at the overall facility, the client decided that one studio would be the main room where multiple guests could be seated, etc. The other rooms would have guest microphones, but they are smaller rooms and limited to one guest each. The smaller rooms have AudioArts Air4 consoles while the main studio has an R-55e. The main studio had existing studio furniture that was in reasonable shape so we decided to reuse it. While we had the studio ripped apart, the paint and carpet where updated. The main microphone is an Electrovoice RE-20, the guest mics are Heil PR-20UT which are inexpensive and have excellent characteristics for a dynamic microphone. Since this faces a fairly busy street, I put in some very basic DBX 286S mic processors with a little bit of downward expansion. Adobe Audition is used for production. 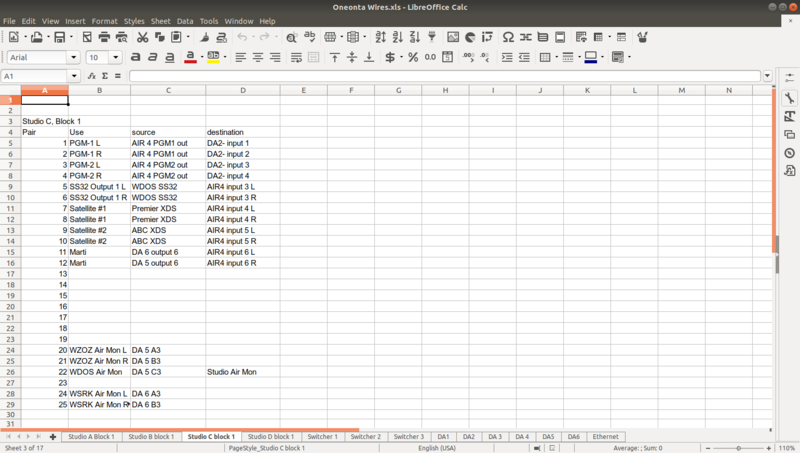 I have also used Audacity which is available in both Windows and Linux flavors. Acoustical wall treatments are coming soon. 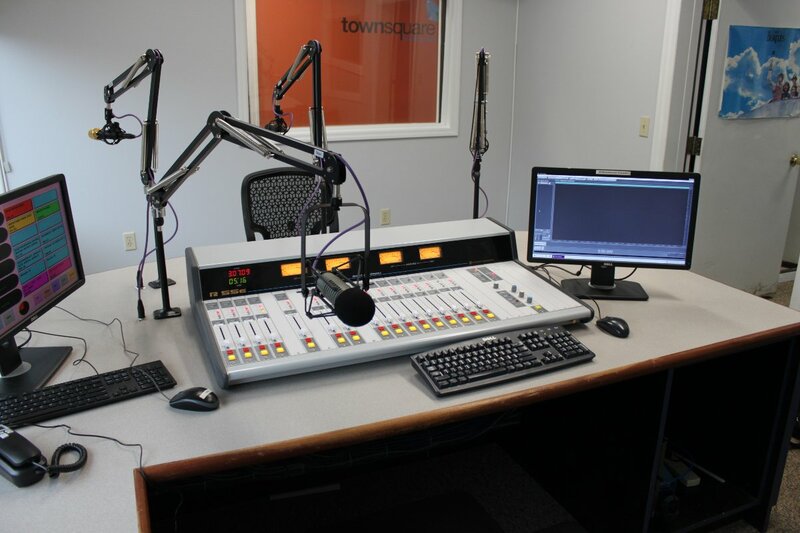 The counter tops in the smaller studios were traded out with a local kitchen supply company. 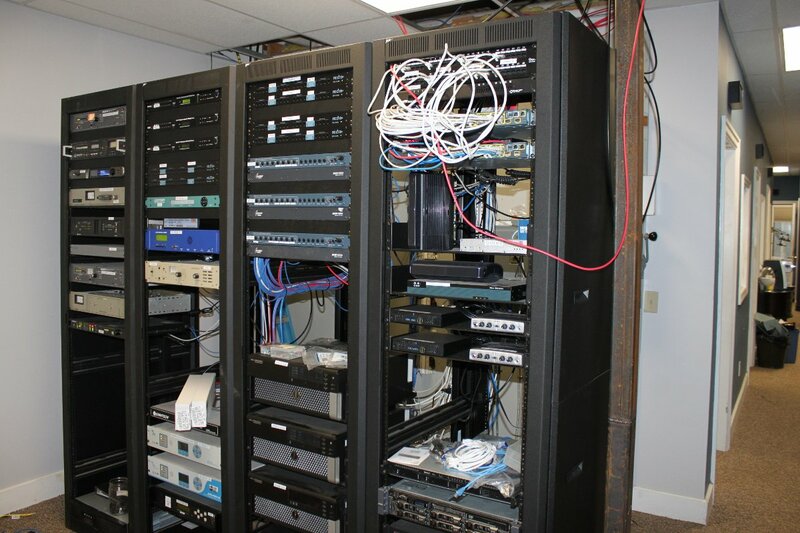 We used Middle Atlantic BRK-12-22 racks with castors on them to install a limited amount of rack equipment. Each one of these studios is nearly identical; a AudioArts Air4 console with JBL powered monitors. The microphones in these studios are Heil PR-20UT with console supplied mic preamps. 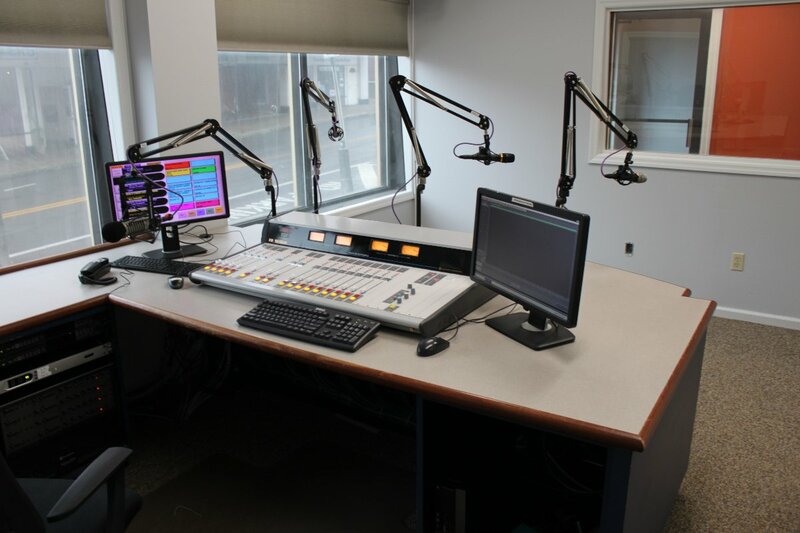 These studios are used for WSRK, WDOS, WBKT and WKXZ. 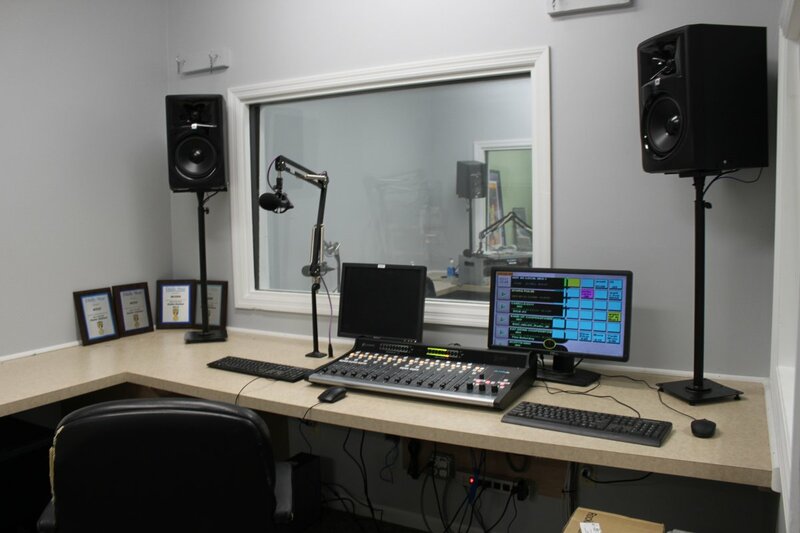 All studios are off line when in automation, which means each can be used for production and other purposes. A riser was installed from the racks straight up to the roof for the STL, monitor antenna and satellite dish transmission lines. Everything is grounded with a star grounding system connected to the main building ground which consists of driven ground rods and the water main. The STLs have Polyphaser IS-PT50HN lightning protection devices installed. The racks are Middle Atlantic MRK 4031. Since this building was built sometime in the mid 1800’s, the floors are a bit uneven (along with almost everything else), so a fair amount of shimming and leveling was needed to get these units bolted together. 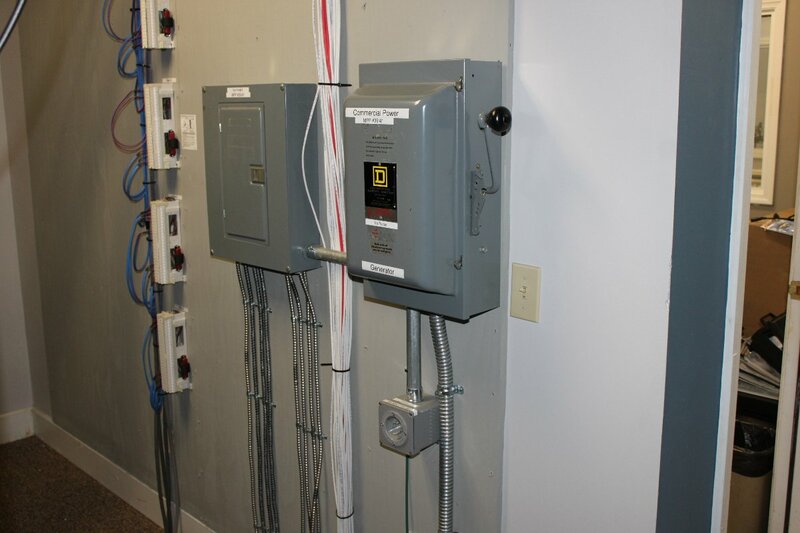 A manual transfer switch controls a dedicated electrical sub panel. All of the racks and studios are powered from this sub panel. 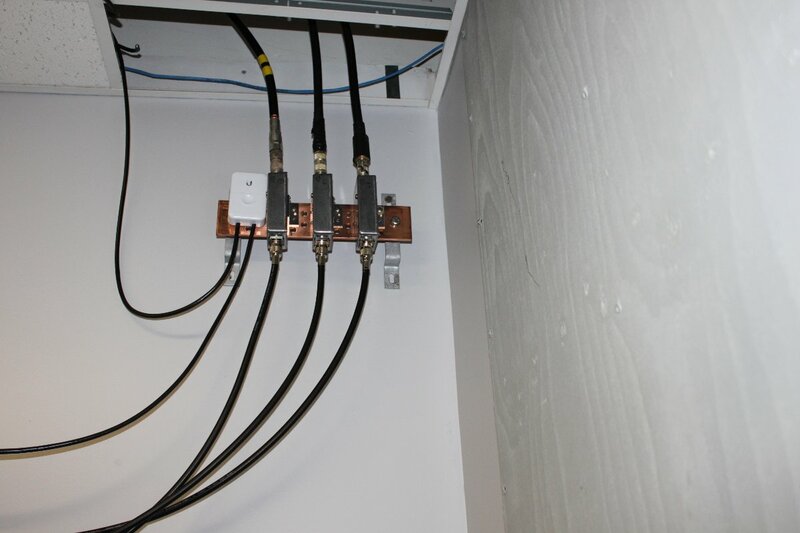 Below the transfer switch is a NEMA L14-30 twist lock male receptacle for generator connections. The total load about 18 amps. The station is looking to trade out some generators for various transmitter sites. I suggested that they get a couple of the portable Honda inverter generators, which are very good have excellent power regulation, frequency stabilization and fuel economy. 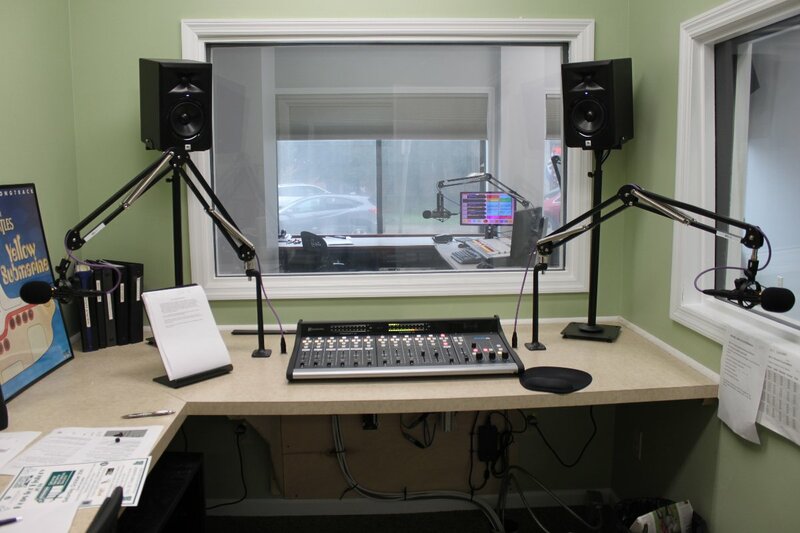 The existing Scott’s Studio 32 system was updated with new computers. This is an interim step until a new automation system can be installed next year. Each station has it’s own BT 8.2ss switcher which can select any studio to go on the air with. That flexibility makes moving from studio to studio easy. It also allows for all the stations to be simulcast, which is handy in the event of an emergency. Punch blocks are mounted on plywood attached to the back wall. We left extra space for a new phone system. The EAS monitor assignments are met with roof top yagi antennas. I like drawings and diagrams, as the saying goes, a picture is worth a thousand words. 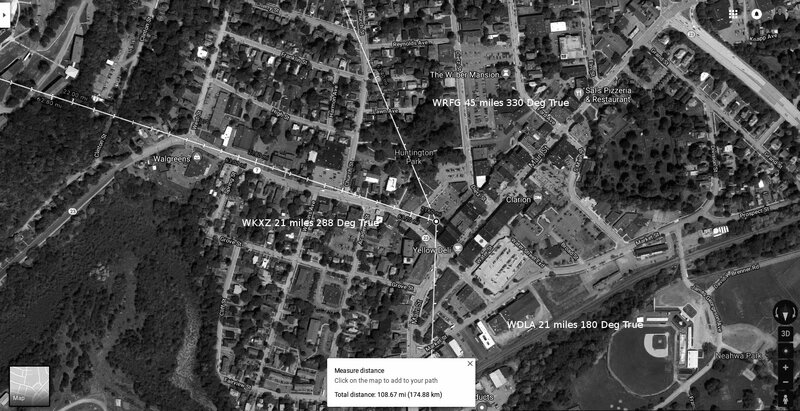 This is an image I created on Google Maps using the transmitter site coordinates for each of the EAS monitoring assignments. That gives me good local aiming points for the various antennas needed. Other drawings include a floor plan and block diagrams for each station. I have a Viso template that I use for these. 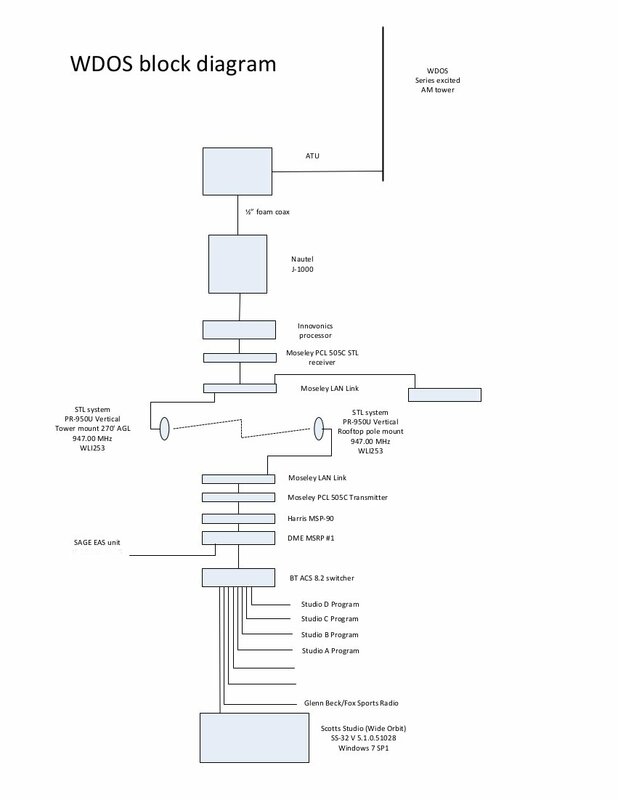 I find that having these diagrams on hand in a book is very helpful in the event that somebody else needs to go to this station to work on things. There is still a little bit of clean up left and some old equipment to get rid of. Otherwise, it’s a wrap.